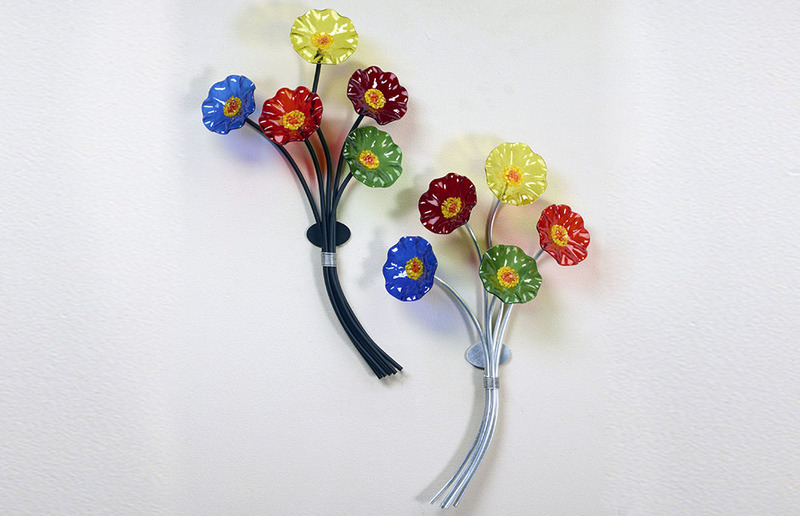 Like all of our work the Wall 5 flower bouquet comes with removable flowers allowing for complete customization. Below find our most popular color combinations. Please select your favorite color combination to be displayed on wall. Each flower easily unscrews allowing for easy customization, shipping and assembly.